You are here: Home / Blog / Galleries / LMP to celebrate their 70th birthday with a concert above London! It’s our 70th birthday on Monday 11th February! It’ll be business as usual that morning when we rehearse with violinist Tasmin Little ahead of the Ealing Music and Film Festival concert on 14thFebruary, then the orchestra will hot-foot it across London to the Southbank, where at 3.30pm we are playing Mozart’s Symphony No. 41 (Jupiter) in front of floor-to-ceiling windows 34 floors above the River Thames at the stunning Shangri-La Hotel, At The Shard, with London at our feet! 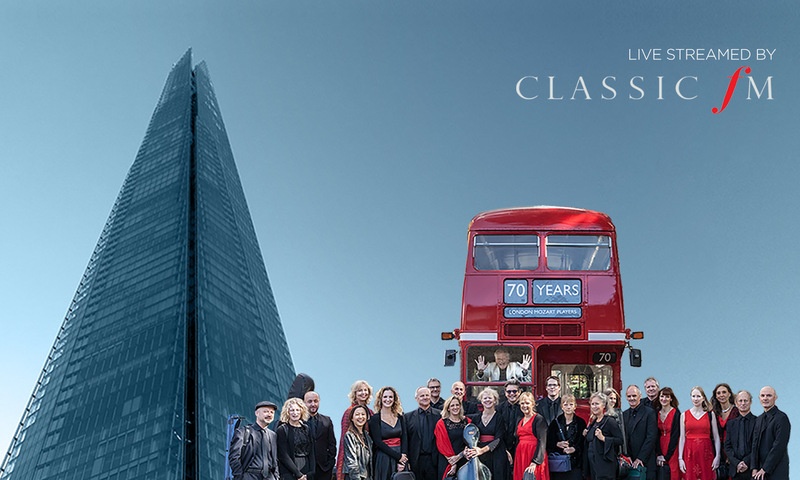 This will be a real treat, but you don’t have to be present at the Shangri-La Hotel, At The Shard, to enjoy the concert as our friends at Classic FM will be live-streaming the event via their Facebook video page. Just tune in at 3.30pm to see it live, or catch up after the event. And it doesn’t stop there! After Mozart’s ‘Jupiter’ at the Shangri-La Hotel, At The Shard, a quintet will make its way to the BBC Studios for a musical birthday interview on BBC Radio 3’s ‘In Tune’. Howard Shelley will be talking about his forthcoming LMP concerts, including two at Southbank’s QEH on 31 March and 9 June, and he will be at the piano alongside the LMP musicians to delight us with some snippets from the concert programmes as well as a gorgeous piece of Rachmaninov. This will be on air from around 5.45pm-7.00pm or you can catch it later on the BBC iPlayer. LMP features in February’s edition of Classical Music Magazine LMP turns 70 years today!